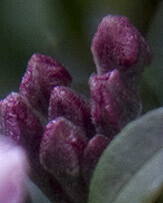 One of the taller growing varieties Aster x frikartii 'Monch' is one of the best. Long flowering with masses of mauve flowers with contrasting yellow centres form early summer through to autumn. Commonly called 'frikart's aster' , with its long stems it provides excellent cut flowers and butterflies are attracted as well. Aster x frikartii 'Monch' is versatile in that it can be pruned early in spring for a lower growing plant, or left to grow taller and add height to the border. Aster x frikartii 'Monch' grows well in full sun to part shade, the warmer the climate the more shade it can take. 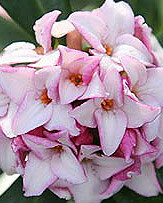 However deep shade will lead to poor flowering and leggy growth. A humus rich well drained soil is best. Fertilize with a liquid seaweed fertiliser wen planting and use a general purpose slow release fertiliser in spring as new growth appears. We like to follow up with some regular applications of the seaweed solution. In areas of very cold winters you will need to mulch to prevent damage to the crowns. 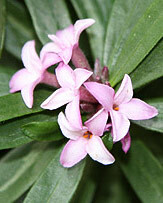 Plants can be tip pruned from spring onwards to help create a more bushy and lower growing shrub. If left to its own devices Aster x frikartii 'Monch' can reach around 1m in height. Plants will die back in winter and can be pruned back to ground level as new growth appears in spring. 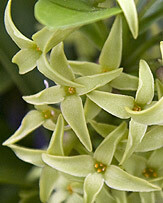 Propagation is by division of established clumps or from cuttings. Although seeds are offered for sale, they are often mis labled, and as this is a hybrid seeds will not come true anyway. Mass planted in the border Aster x frikartii 'Monch' will form a carpet of flowers. 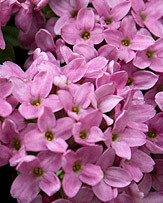 Use as filler in the border where its natural height can be an advantage. Mail order specialists of herbaceous perennials : Bearded irises, herbaceous & tree peonies. The catalogue and website list over 700 different varieties.